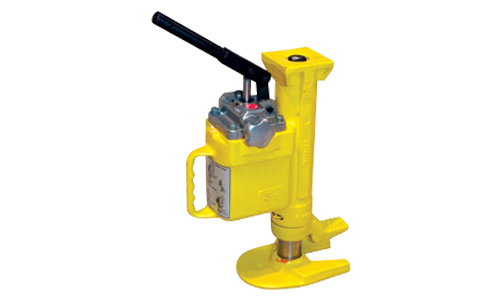 KBSS Engineering can access Toe Jacks, with lifting points on the toe and on the top, these extremely rugged jacks are ideal for machine lifting, rigging, lift truck service and much more. With lifting points on the toe and on the top, these extremely rugged jacks are ideal for machine lifting, rigging, lift truck service and much more. Choose from 5 ton, 10 tonne and now an amazing 25 tonne lifting capacity. All jacks operate both vertically and horizontally. Base, toe and pumping assembly swivel independently, allowing the jack to work in confined areas.